Women in Tea: Not Just a Gentlemen's Business? In China, the crafting and trading of tea is historically the domain of men. In contrast to the western stereotype of aristocratic ladies sipping afternoon tea from ornate cups, the Chinese tea drinking culture was mostly popularized by male scholars, who waxed poetic on the complex flavors and austere pleasures of their favorite teas. While women certainly brewed and drank tea as well, they escape mention in most discussions of tea history in China. Even today, most tea leaves are plucked by women in China and Taiwan. Each harvest season mobilizes a small army of aunties and grannies, who don wide hats, gloves and sleeve protectors before heading out to the tea fields to bring in the harvest. In the rush to pluck the budding tea leaves before they mature, all hands are needed. After the harvest, the leaves are traditionally turned over to the men, who spend long hours monitoring the leaves as they wither and oxidize before bruising and roasting them to craft a finished tea. But slowly, these defined gender roles are starting to blur and change. Today, western ideals of gender equality are slowly permeating the patriarchal social systems of China, and more women are beginning to participate in their family’s business. They may be taking over in the absence of a male heir or sharing responsibilities on a farm they’ve married into. Each year, more of Alice’s contacts are women, who may manage the sale and packaging of their family’s tea, the crafting process, or the whole production. Business traditions in China stem from ancient Confucian ethics, which produce a very different culture from western capitalism. With less focus on market competition and more emphasis on integrity and loyalty, the power lay in the hands of the farmer. But by the mid-2000s, when Alice and her brother Peter started sourcing on their own, they were beginning to pay more attention to the ways in which their teas were grown and crafted. Unfortunately, they found that the old-school patriarchs were not always receptive to their requests. “Some patriarchs would not tolerate even adding a label on each side of the boxes. He directs me to his daughter or daughter in law to take down details and it still may not get done,” Alice says. With men and women handling different aspects of the business, farm operations were often disorganized. While Alice says her father liked to cook, and would always peek into the kitchen to see what the women were preparing for lunch, she adds, “None of the [other] men went into the kitchen, of course.” While it may seem like a minor oversight, the local produce served on rural farms is usually home-grown, in the same conditions as the tea. The quality and flavor of these ingredients can be a fantastic litmus test for the overall quality of the tea being produced on that farm. By contrast, modern farms that espouse more gender equality tend to be much better organized. Though it’s hard to pin this effect to just one cause, it’s easy to see how women in managerial roles are more prepared to be involved in every aspect of daily operations. On an early day of the spring harvest season this year, a woman that manages her third generation farm with her husband showed us around. We tasted several teas from the most recent crops and discussed packaging options. She took us to the tea fields, where we chatted with two women plucking early buds. She demonstrated how the array of crafting machinery transformed the wilting leaves into finished tea. And finally, she served us lunch, giving us all the details about the fresh eggs and local sweet potato soup. It was clear that she knew every facet of the operation, and was comfortably in control for the day while her husband took their three boys for a holiday picnic. Even when women are not in a position of power, they can be indispensable to the organization of the operation. At one farm, an annual sourcing visit revealed that the farmer’s wife had left him, and his tea crop was in disarray. Without his wife holding things together behind the scenes, the whole farm was falling to pieces. Instead of his usual batches of tea, he tried to sell Alice coffee beans. And when she found a new farm in the area, it was run by a woman. Another reason for the better organized nature of modern farms is probably the influence of higher education. Many younger tea farmers, men and women, have attended college in the city, bringing back technical knowledge of agriculture as well as modern, capitalist ideas about how commerce should function. Again, in contrast to the ‘old days’ of tea sourcing, more educated consumers and a highly competitive market have shifted more power from farmers to buyers. Today, many buyers, including Alice, collaborate with farmers, giving input on oxidation levels, roasting styles, and packaging. “I don’t know if the college grads are more organized or just they are more eager to earn our trust and invest in our long term business,” she says. But the tea industry, in general, has been changing with more focus on the consumer, even within China. “Now that the Chinese are so well off and have the buying power for the very best, these farms want to strive to be a cut above the rest too,” Alice says. In this competitive market, some wealthy Chinese tea drinkers are even buying the rights to trees on independent farms, in order to exert more control over the tea they eventually drink. The collaborative nature of this new tea business requires farmers to be more willing to take requests, and more organized to execute them. In our experience, it’s clear that female-led farms are uniquely capable of fulfilling these requirements, due to better oversight, organization, and responsiveness. Though they have always been an integral part of the tea crafting process, they are now becoming indispensable to the tea business. 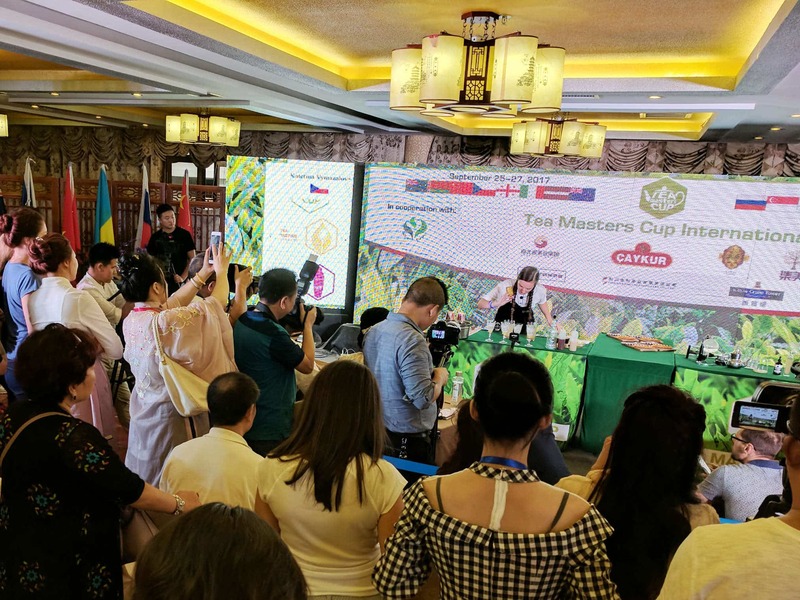 It may have been male scholars writing the treatises on tea that made it famous in ancient China, it is the women behind the scenes that are pulling the industry into the 21st century. * Photos copyright Red Blossom Tea Company.